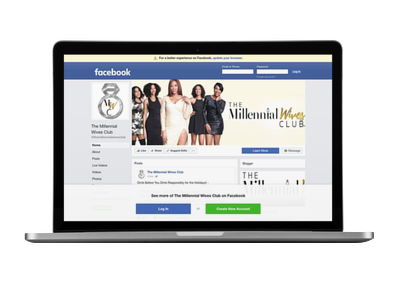 The Millennial Wives Club had the opportunity to sit down and talk to Millennial Wife Yaha, an influential millennial mom and wife who has built a successful brand helping women of color have it all in love, family, and business. We wanted to highlight Yaha because she is the founder of Feminine Success School and is teaching women worldwide that you can create the life you want without losing your feminine touch. We talked femininity and women embracing it in its fullness, managing vs. balancing it all, taking a holistic approach to life, and so much more. MWC: Give us an overview of the evolution of Yahya Smith? How did you become the woman that you are today? Yahya: What a winding road that’s been! The short version is: I was always the girl who knew I’d be a wife and mother. It took a lot of pain to get there but once I did and realized how fulfilling it is to design your own life, decide your own income, and show up in the world with ease and grace, rather than hustle and overwhelm – I wanted to help other women manifest (and maintain) their Feminine Success with confidence. MWC: What inspired you to dedicate your platform to femininity and women embracing it in its fullness? Yahya: Seeing the effects that femininity had on my own life and relationships, and even my finances. More women wanted to know how to create peace and prosperity while loving themselves in the process. I’m inspired by the women that this message resonates with because they are women who stretch to become extraordinary. MWC: Congratulations to you on your daughter! How was the entire process of home birthing since you’ve done it with pretty much all of your children? Was it easier? Yahya: Thank you. I’ve had 1 hospital birth and 3 home births. There are pros and cons to both situations. I love that I can give birth in the comfort of my own home, with people who know and love me, and sensible light settings (those bright overhead lights are crazy!). I also love that my older children can experience birth with my husband and I. Sometimes men are separated from the birth process so it’s great that my husband is completely hands-on in all of our births. He doesn’t get to look away and it really has created a different kind of bond and respect for each other. MWC: How are you able to balance being a wife, a mother, a home school teacher, life coach, an entrepreneur, etc.? Does it ever become overtaxing? Yahya: I don’t balance it all - I manage it all. As women, we’re designed to be stewards of our households and everything we’ve been given. Even single women can prepare for marriage and/or motherhood by practicing being a good steward. For me, that also includes managing my energy (i.e. resting when I get tired rather than allowing myself to get overwhelmed), managing our money (minimize stress), and even managing my beauty and self care routines. The idea is to keep your cups full so that you can show up and serve in your various roles without much strain. MWC: In one of yours blog, you talked about how you kept yourself from being consumed by motherhood. How did you manage to accomplish that? Yahya: Early on I was totally consumed with being a mother and a wife. I thought that I was working for some kind of points and “one day” everyone would notice and finally give me a break. Well, I never actually communicated what my needs were with my husband so I ended up overwhelmed. When that happened I realized that I would lose myself and start to resent my family if I didn’t get back in touch with myself quickly. I started to commit time daily to self care. At first, 5 minutes a day. Now I commit to at least 90 minutes a week and recommend the same to all my clients. 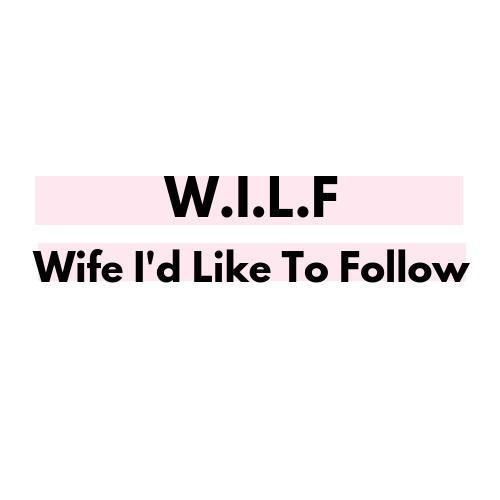 MWC: What advice would you give to other women who get lost in the role of wife and/or mother? Yahya: COMMIT. Make it a non-negotiable. Stop using your family, husband, work, etc. as an excuse and realize that you can only give them what you have. If your cup is empty, you’re fooling yourself if you think you’re pouring into others. Pour into you, consistently, then you can serve generously from your overflow. Also, surround yourself with women who celebrate self care. 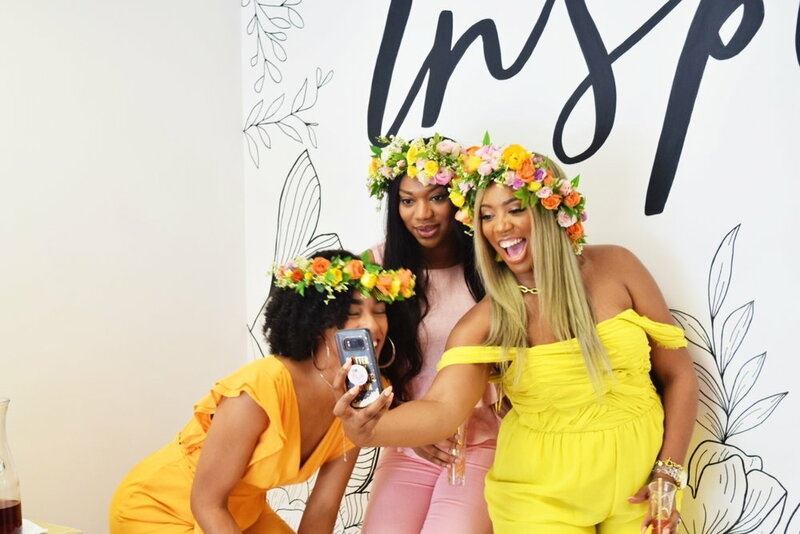 MWC: We love how your blog and your Instagram page really pushes for women to be healed on the inside (mommy wounds/scars) and on the outside (self care)! Why is that so important in today’s society? Yahya: It’s important to take a holistic approach to life. Sometimes we see things falling apart in one are but it’s only a symptom of something much deeper. Many women experience the same problems, relationships, and situations over and over – that means there’s something deeper to heal so that you can grow past it. We owe it to our future to end the cycles that aren’t serving us. MWC: What is your favorite inspirational quote and how do you apply it to your everyday life? We ask ourselves, who am I to be brilliant, gorgeous, talented and fabulous? This is a challenge I experience daily. Expanding. This quote reminds me to show up in excellence. Not to shrink to fit. I do this daily by showing up even when I don’t feel like it or imposter syndrome kicks in. MWC: What are you most proud of? Yahya: My family, especially my children. Everything about our life, even the obstacles, just makes me grateful to God for hearing our conversations and giving us love and companionship. MWC: What are you currently working on? Any upcoming projects? Yahya: Yes! A Feminine Success book & retreat are on the calendar for this year.